Palliative care is a field of health-care that is committed to promoting the best possible quality of life for patients. It involves excellent pain and symptom management, as well as skills in assessing the psychosocial, emotional and spiritual needs of patients and their loved ones. We create an environment that enables you and your family to make informed choices, and to develop the best possible plan for care. 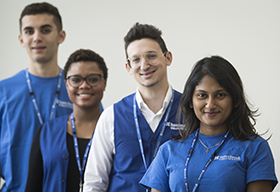 Physicians, nurses, social workers, pharmacists and rehabilitation professionals can each have special expertise within the field, and our professionals and volunteers on the palliative care team have special sensitivity and training. We are committed to addressing the physical, emotional and spiritual needs of patients and their significant others, honouring diverse cultures, values and beliefs. The palliative care unit is located on the first floor of Kilgour Wing (K-Wing). Nestled among tall pine trees, the unit overlooks nature from large windows. The fully equipped and spacious hospital rooms offer private or double accommodation, set in a comfortable home-like environment. There is a fee for private accommodation. We encourage individuals to personalize their room by bringing items such as TVs, radios, pictures, and more, from home. The facilities for visitors include a lounge with television, a kitchen, a quiet room with telephone, plus bedside cots for an overnight visitor. In collaboration with the team, families — as defined by the patient — are encouraged to be involved in the care of their loved one. Please see our visitors page for information about visiting hours, parking, pets and washrooms. 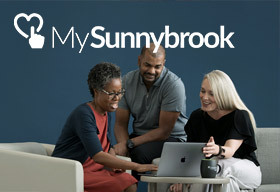 Sunnybrook is a completely smoke-free environment. 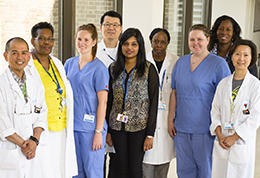 Committed to providing the safest and healthiest environment possible, and in collaboration with Ontario law, Sunnybrook has adopted a smoke-free policy that prohibits smoking on all hospital property and grounds. 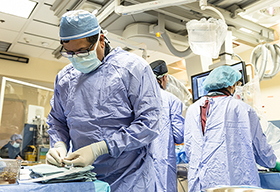 The policy applies to all patients, staff, physicians, volunteers, students, visitors and contractors that are within the boundaries of Sunnybrook Health Sciences Centre. Special consideration has been given to veterans living in the Sunnybrook Veterans Centre. We appreciate your cooperation with this important hospital-wide initiative. If you have any questions regarding palliative care referrals and resources, please do not hesitate to contact us. For urgent matters outside of business hours, please call locating at 416-480-4244 and ask the operator to page the "on-call palliative care physician/consultant". Please make a gift towards the palliative care facility renovation project by clicking the button below.